"Ortelius" was built in Gdynia, Poland in 1989 and named "Marina Svetaeva". She served as a special purpose vessel for the Russian Academy of Science. The vessel is re-flagged and renamed "Ortelius". Ortelius was a Dutch / Flemish cartographer. Abraham Ortelius (1527 - 1598) published the first modern world atlas, the Theatrum Orbis Terrarum or Theatre of the World in 1570. At that time, the atlas was the most expensive book ever printed. 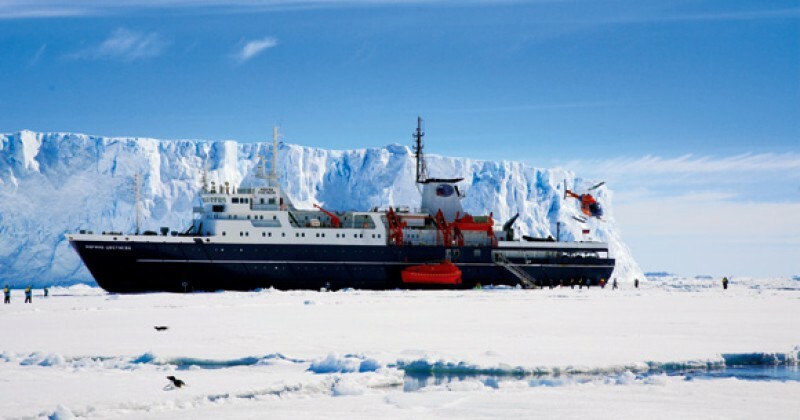 The vessel has the highest ice-class notation (UL1 equivalent to 1A) and is therefore very suitable to navigate in solid one-year sea ice and loose multi-year pack ice. "Ortelius" is a great expedition vessel for 100 passengers with lots of open-deck spaces and a very large bridge which is accessible to the passengers. 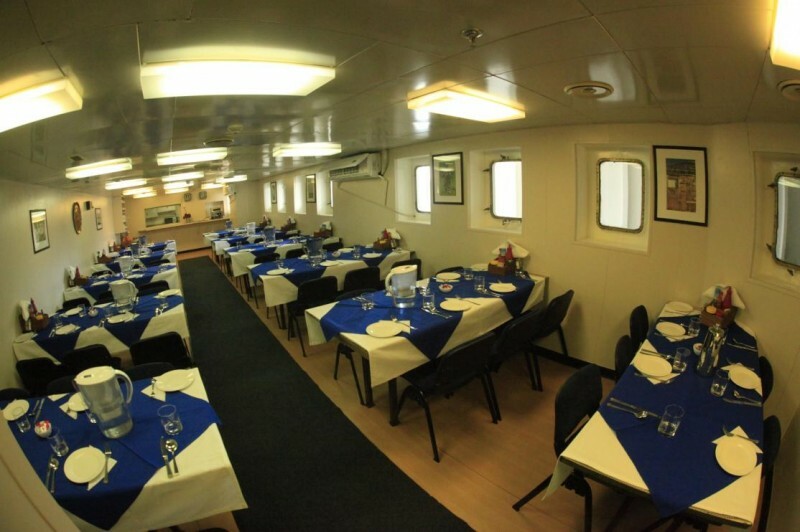 The vessel is manned by 34 highly experienced Russian nautical crew, 15 international catering staff, including stewardesses, 6 expedition staff (1 expedition leader and 5 guides/lecturers) and 1 doctor. 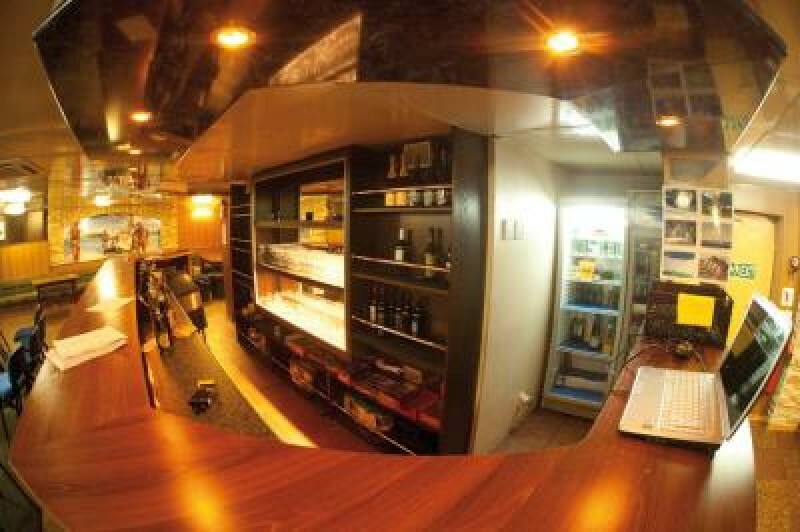 "Ortelius" offers a comfortable hotel standard, with two restaurants, a bar/lecture room and a sauna. The voyages are primarily developed to offer passengers a quality exploratory wildlife program, trying to spend as much time ashore as possible. 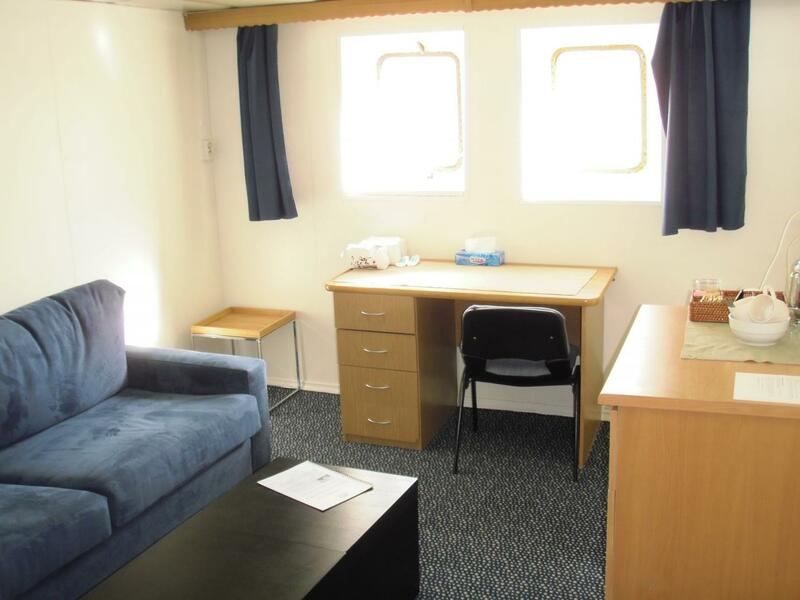 As the number of passengers is limited to approximately 100 on the "Ortelius", flexibility assures maximum wildlife opportunities. 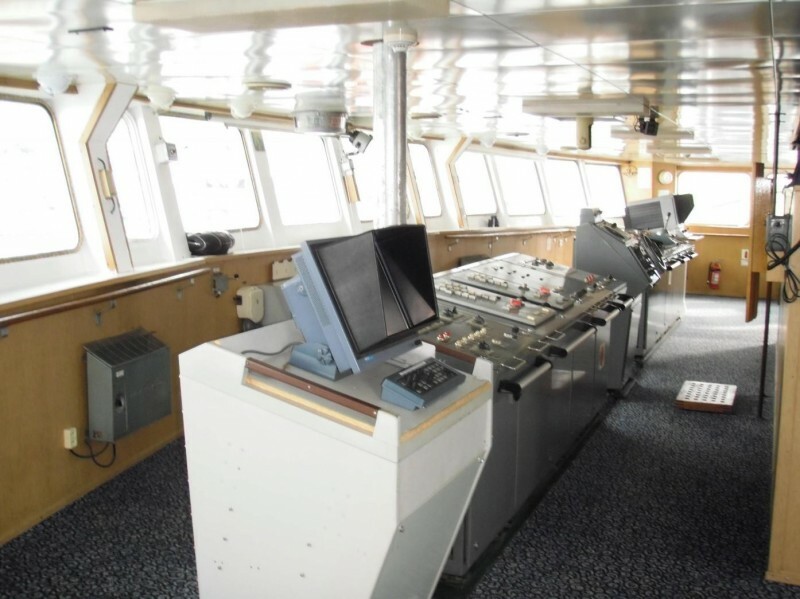 "Ortelius" carries 11 zodiacs of which 9 are in use and 2 on reserve. The zodiac engines are 60hp Yamaha. 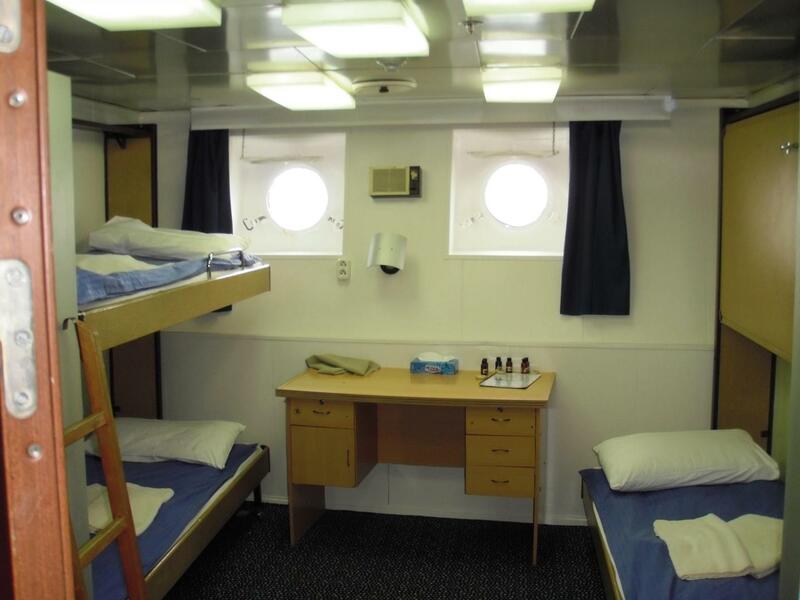 The cabin lay-out is as follows: 5 quadruple cabins with bunk beds and shared facilities (these can also be used as triple or twin cabins); 14 twin cabins with 2 lower single berths and shared facilities; 9 twin cabins with portholes, private toilet and shower and 2 single lower berths; 10 twin cabins with windows, private toilet and shower and 2 single lower berths; 6 superior cabins with double beds, private toilet and shower and a separate day room, and 1 suite with a double bed, private toilet and shower and a separate day room. 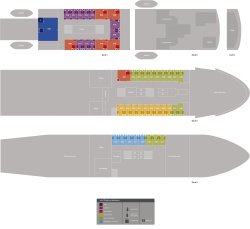 All cabins are spacious outside cabins with a minimum of two portholes or windows per cabin. 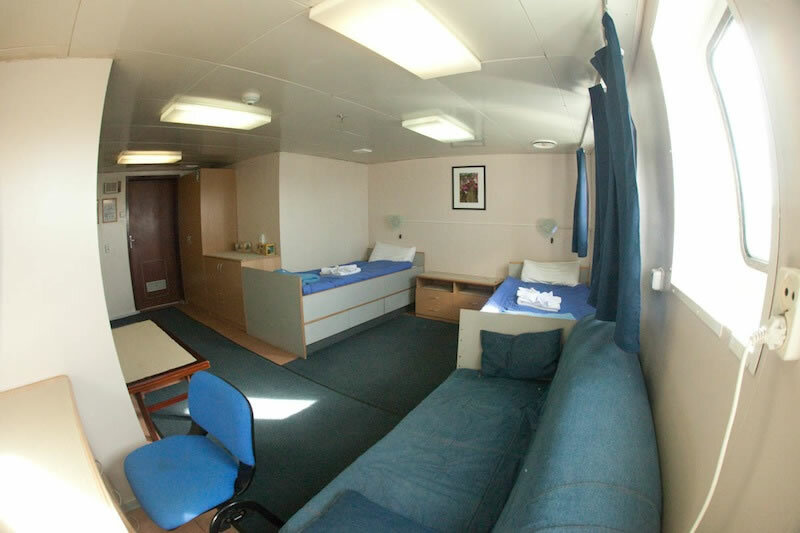 14 twin cabins with 2 lower single berths and shared facilities; 9 twin cabins with 2 single lower berths, portholes, private toilet and shower and 10 twin cabins with 2 single lower berths, windows, private toilet and shower. 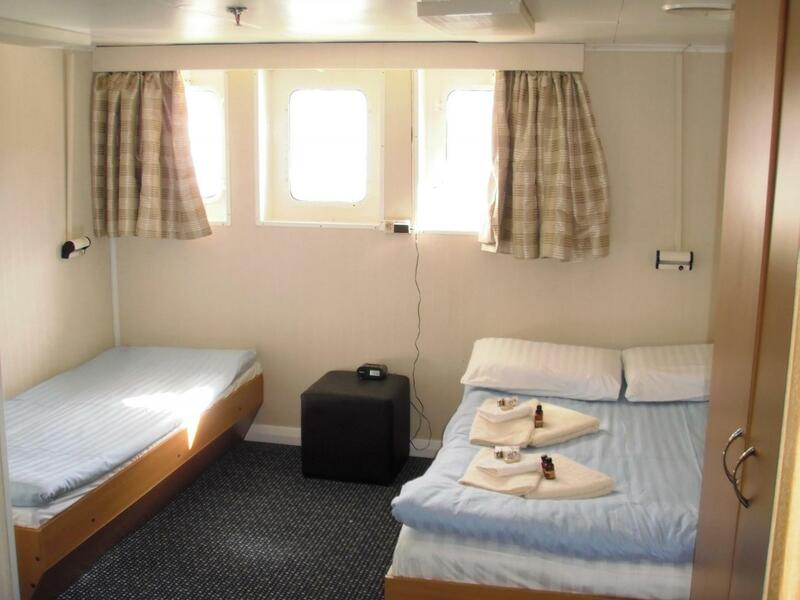 6 superior cabins with double beds, private toilet and shower and a separate day room. "Ortelius" offers a comfortable hotel standard, with two restaurants, a bar/lecture room and a sauna. The voyages are primarily developed to offer passengers a quality exploratory wildlife program, trying to spend as much time ashore as possible. 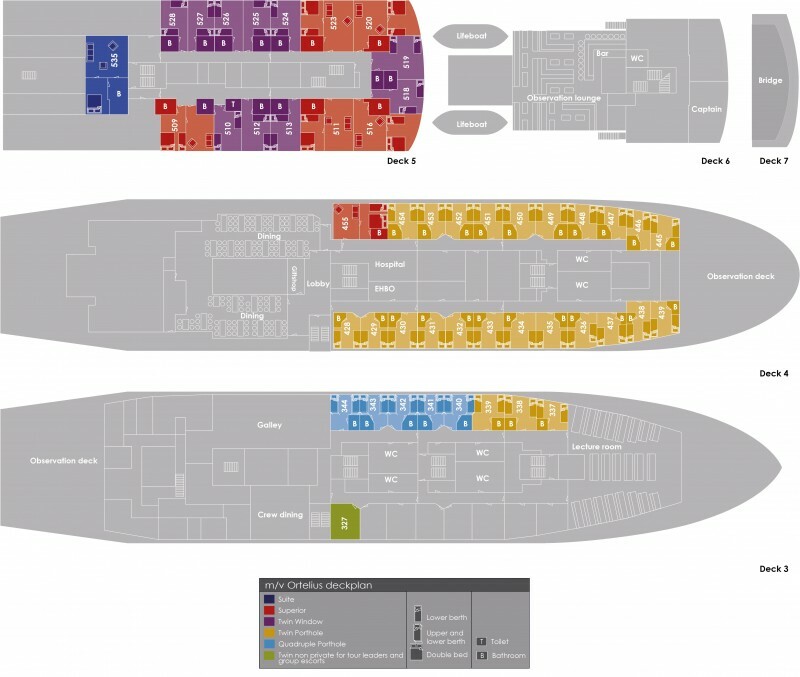 As the number of passengers is limited to approximately 100 on the "Ortelius", flexibility assures maximum wildlife opportunities.